New technology could replace central authority services, with banks and lawyers among those at risk. Blockchains could spell death for central authorities including banks and lawyers, a new report claims. The report from the ICAEW group says that smart contracts using Blockchain technology could shake the very foundations of financial systems. Being capable of direct interaction, this technology could cut costs for businesses, as well as effort of doing business with a ledger owner. Financial crime and shady business would be harder to pull off, as well. 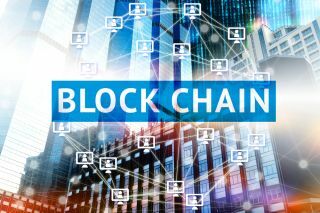 “Blockchains mean organisations can work together without an intermediary, but no longer need to have institutional trust in one another," said David Lyford-Smith, IT technical manager, ICAEW. Blockchain brings a thorough change to the keeping and running financial records. Instead of centralised records with one owner, blockchain works on the principle of all users having identical copies. Any participant can thus track all previous transactions, improving transparency and making the blockchain ‘self-auditing’. Blockchain can be used in a wide variety of industries, and for different things. The full report can be seen on this link.